Pokeweed is a nutritional powerhouse, but be careful, it can also be toxic to humans if it’s not prepared correctly. 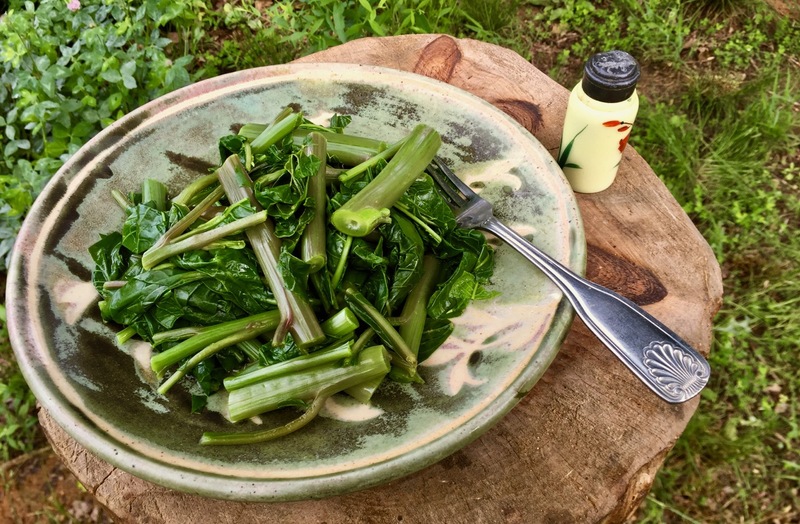 This voluptuous weed is extremely high in vitamin A, and also has significant amounts of vitamin C, iron and calcium. Pokeweed is one of the first plants to sprout in the springtime. 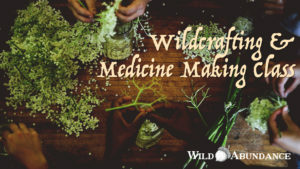 Because of that, it’s traditionally eaten to get people through the season until more wild and cultivated foods emerge. It also has lymphatic cleansing properties and helps the body with “spring cleaning. The best time to harvest pokeweed for food is before the plant reaches knee height (well before it flowers). The common name, poke, comes from a word for “blood” or “dye” in a language indigenous to North America (probably Powhatan or Virginia Algonquin). 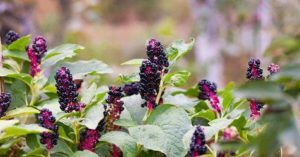 That’s because pokeweed’s bright berries can be used to make dye when they’re ripe. 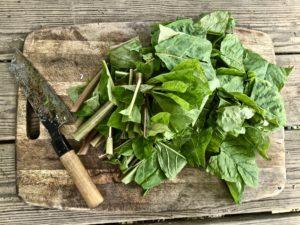 Poke salad or poke sallet? Pokeweed is always eaten cooked. In fact, raw poke can make you sick or even kill you. It’s especially dangerous for children and older folks. Even though that sounds scary, don’t worry; we’re going to walk you through how to render this tender plant into something safe and delicious. The term “poke salad” is actually a misnomer. 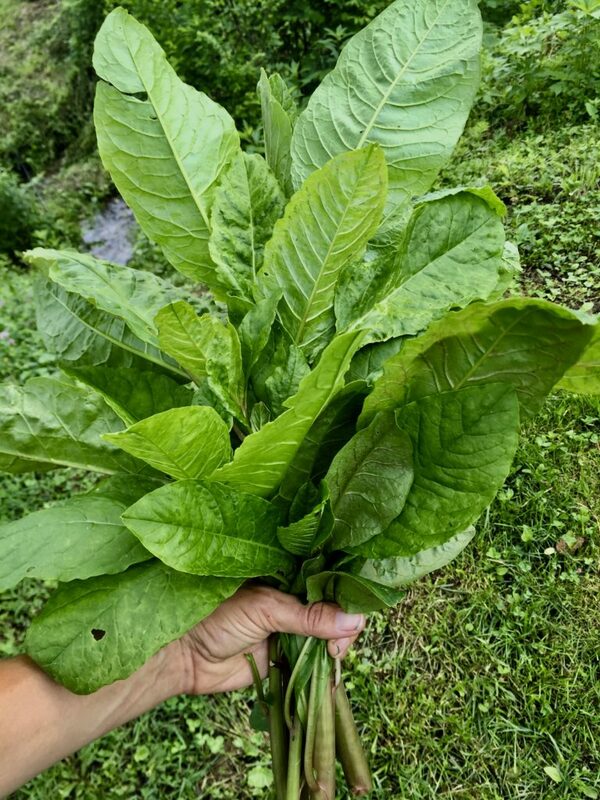 Even though that’s what a lot of people call the most common pokeweed dish, its true name is poke sallet or poke salat. That’s because poke has been eaten for so long by our European ancestors here in North America. The word sallet comes from an older form of English. So, now you know: “poke salad” is actually poke sallet. 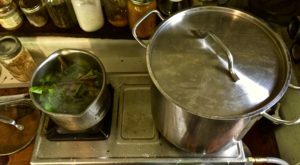 After processing in such a manner, greens should still be bright green and appear vital. Enjoy!